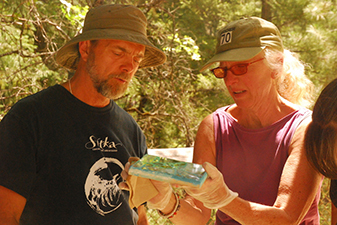 Imagine being fully inspired and receptive to the healing powers of nature in the former home of the Maidu Indians. You are enjoying a week expanding your creativity and making art. You are surrounded by other creative adults who are giving themselves the gift of time. No shopping, cooking or cleaning to worry about; you need not even get in your car to drive anywhere. 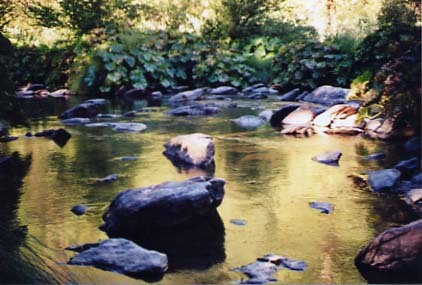 Classes meet along the sparkling Spanish Creek or nearby, in the midst of the fragrance of oak and pine trees and a profusion of wildflowers. Whether you are a complete beginner or a professional artist, Art Camp provides an opportunity to refine your skills, pick up new ideas or mediums, and benefit from the expertise, support and enthusiasm of both instructors and other participants. Take a next step in your art or try something new. You receive quality instruction and feedback from seasoned professional artists who are dedicated to their arts. 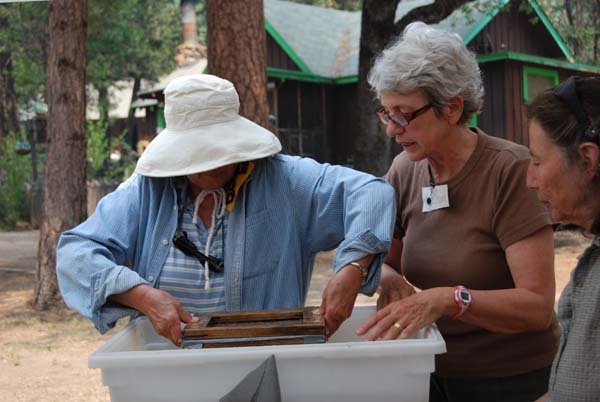 Feather River Art Camp is the perfect joyful blend of fine art, creativity, nature, restoration, fun and camaraderie. 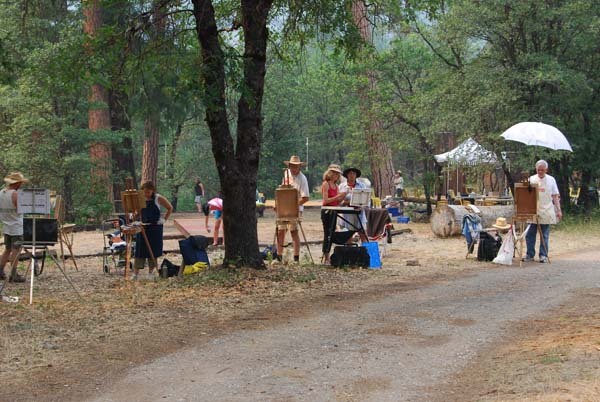 Art Camp for adults at the Oakland Feather River Camp has been an annual event since 1991. We are well known for our inspirational classes, taught by recognized arts professionals, offered in an amazingly beautiful mountain setting. 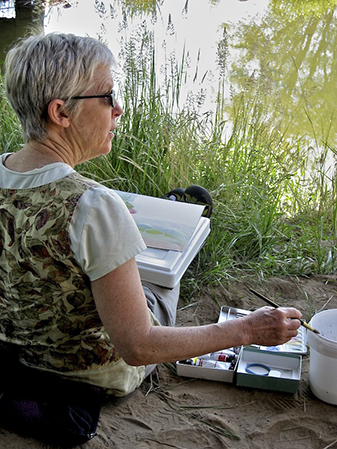 Feather River Art Camp provides a surge of creative energy to enlighten the rest of your year. When you register, you sign up for one daily morning class that you will focus on during the week. This class meets daily with the same instructor and group of students, providing the opportunity to learn and create a project/projects in depth in that subject. You also pick a second choice class in event that your first choice class is cancelled. Every afternoon and evening, before and after dinner, there are optional two-hour, one-time workshops in each of the other disciplines that you can take or not take at your discretion. By the end of the week you will have created several of these projects. All classes, workshops, meals and accommodations are included. 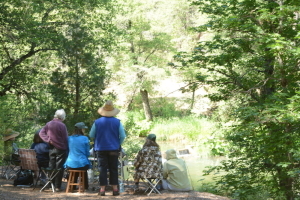 Some art campers bring friends, spouses or partners whom they join in the afternoons. 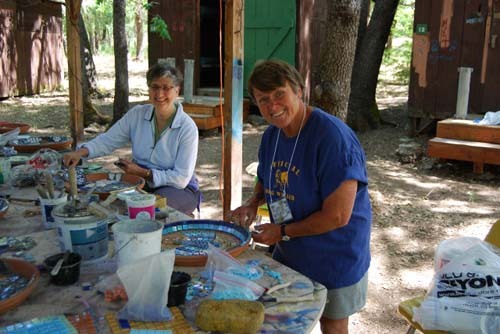 Adult Art Camp offers a special group rate for Adult Art Camp relatives or friends who are not enrolled in art classes in Art Camp. See “Muse” rates in the registration section. Muses typically read books, relax, explore, work on their computers, write or ride bikes over extensive bike trails in the region. Three complimentary arts workshops are given with their registration. If you live in the Quincy area, or are from out of town but prefer to stay in nearby lodging, and do not wish to stay for the overnight part of Art Camp, you can still register for an arts or crafts class. The fee includes all classes, afternoon and evening workshops and all meals for each day. 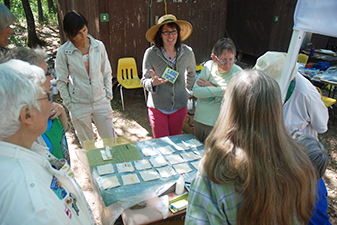 Teens may enroll in adult art classes with a parent or guardian present in camp. 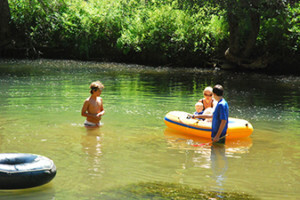 We welcome families who want to bring children to experience the camp while you are taking morning classes. Anna Kaminska, photographer and filmmaker, will spend two hours in the morning with children who would like the opportunity to experience nature and examine their experience through the lens of a camera. A very inexpensive camera will work. This first time offering will be for approximately two hours each morning. Oakland Camp recreation staff will also step in and work in conjunction with Anna to offer activities that integrate with and augment the Photography experience. A diverse program of nature studies, arts and crafts, and recreational activities will balance out the more contemplative photography/ exploration experience. As an Art Camp benefit, your kids may also participate with you in the two-hour, one-time afternoon and evening art workshops. Some adjustments may be made depending on the number of kids enrolled. Many parents have described the experience at camp for kids as “an old fashioned summer vacation” where kids can be kids and you don’t have to worry about them. You can structure your own time with them in the afternoons etc., but it is likely that they will make friends and you won’t see them a whole lot except at meals. 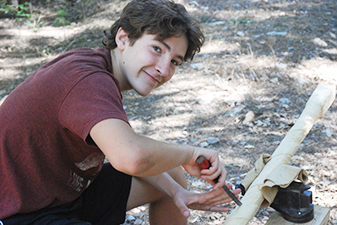 Swimming, hiking, horseback riding (for a fee), river tubing, bike riding, excursions to river swimming spots or into town, ping-pong and of course lots of ART are some of the extra activities that our campers do in their leisure time. 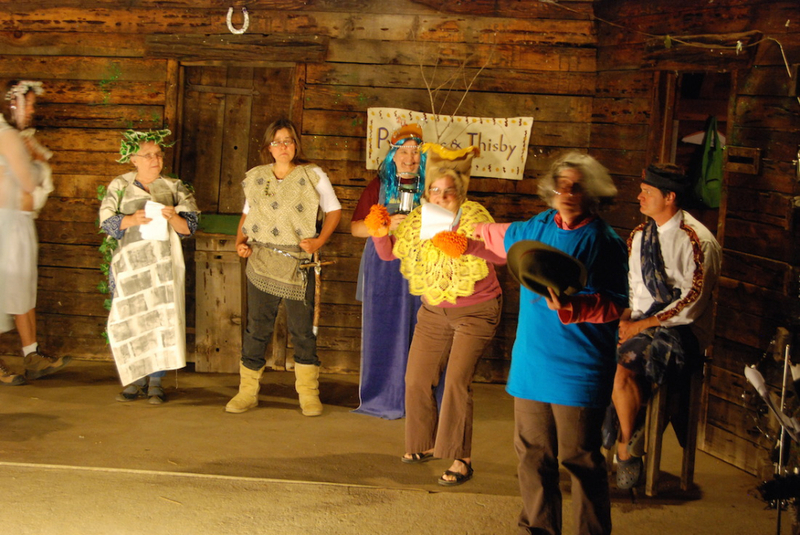 There are also evening activities put on by the camp recreation staff such as line dancing, disco bingo and the annual camp talent show. A lifeguard will be available in the afternoon during swimming hours at the camp beach.